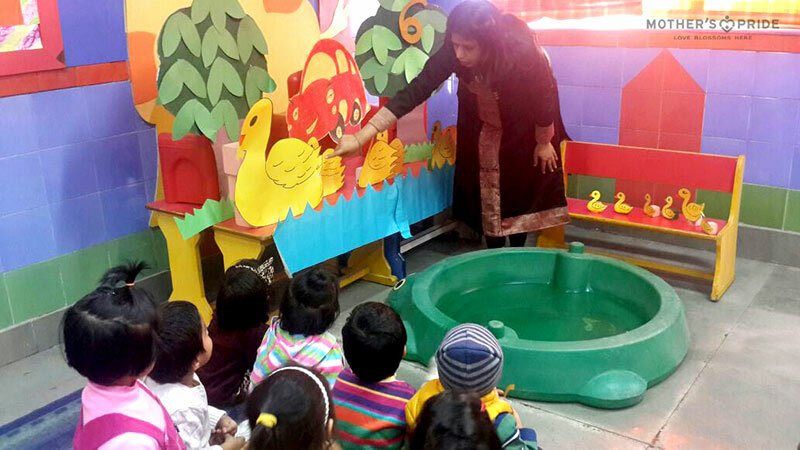 A Water Tub activity was organized for the tiny toddlers at Mother’s Pride school, with an objective of making them learn the recapitulation of number 6. 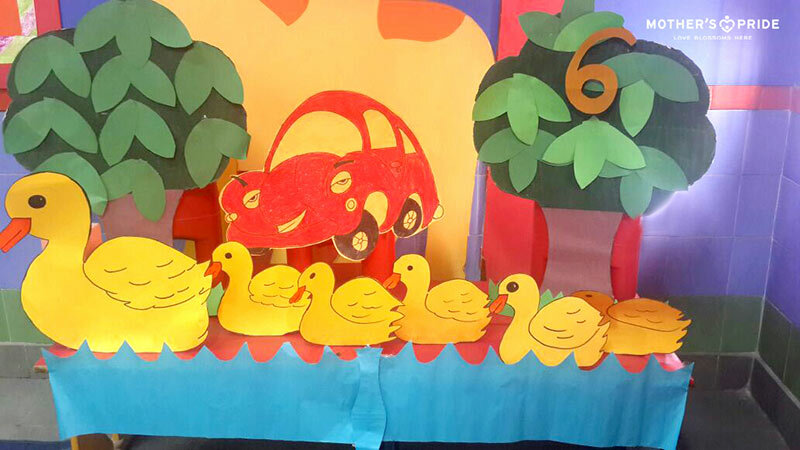 Teachers created a set-up in the classroom with a cut-out of a car, ducklings and a water tub. They introduced the duck and her ducklings to the children as they popped out of the car and swam into the water. 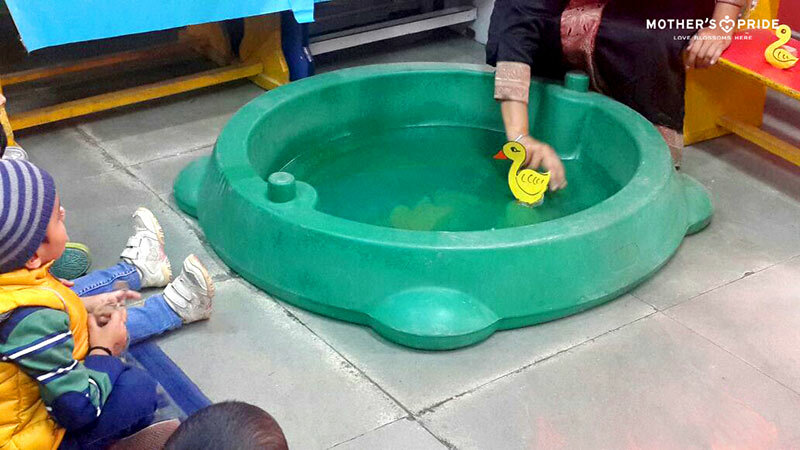 Children had fun, while they floated the ducks in the water. 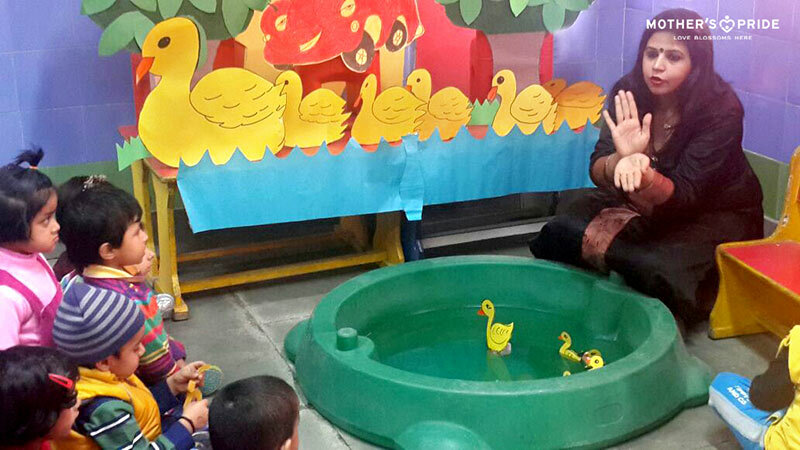 They recited the rhyme of Six Little Ducks along with the teacher. The teachers focused on quantifying number 6 and played a video for the children.